One should not honour only one's own religion and condemn the religions of others, but one should honour others' religions for this or that reason. So doing, one helps one's own religion to grow and renders service to the religions of others too. In acting otherwise one digs the grave of one's own religion and also does harm to other religions. Whosoever honours his own religion and condemns other religions, does so indeed through devotion to his own religion, thinking "I will glorify my own religion". But on the contrary, in so doing he injures his own religion more gravely. So concord is good: Let all listen, and be willing to listen to the doctrines professed by others. Those are the words of the Buddhist Emperor Asoka of India. The photo of the Colombo skyline was taken by me recently. Please let's remember the dead and injured in Sri Lanka as well as the structural damage to Notre-Dame. According to the Indian tradition the Om is the original oscillation, the eternal tone. In our system of sound this oscillation matches with the C sharp. In the 32nd octave of our planet's year this tone oscillates with 136.10 hertz, in the 33rd octave with 272.20 hertz. It is an easy calculation to see why this frequency is exactly 136.10 hertz. You can convert a year into seconds. A day has 86,400 seconds. The year - calculated from starting of spring to the next - has 365.242199 days. One year has 365.242199 times 86,400 seconds that equals 31,556,925.9747 seconds. Take this number and get the reciprocal (just press the 1/x key on the calculator) and multiply the result 32 times with two - and you get 136.10 on the display. 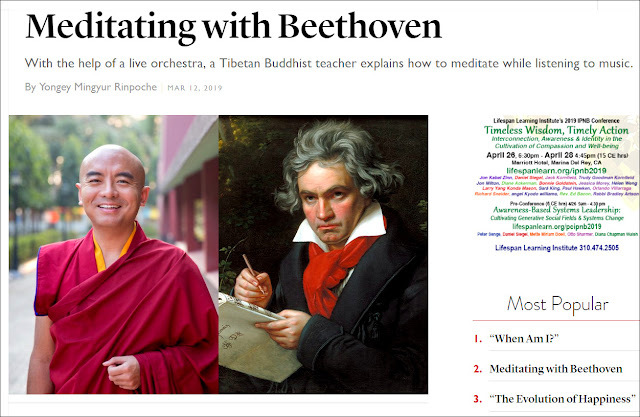 That must surely be the apogee of the music and vibrations thread that started with Hazrat Inayat Khan, progressed through Jonathan Harvey, and led on to sound yoga and feline music therapists. It comes from Swiss mathematician and musicologist Hans Cousto's contribution The Cosmic Octave - Shamanism of Sound and Digital Alchemy to the anthology Goa: 20 years of Psychedelic Trance. The Ganesha batik was brought back from my recent Sri Lanka trip. The road less travelled beckons again, so On An Overgrown Path will now fall silent for an extended period. Before departing I am showcasing four new CD (re)-releases and one deletion. All these CDs were bought by me and have provided hours of rewarding listening. So I hope my personal recommendations carry more conviction than the reheated press releases and lazy YouTube links that are the staple fare elsewhere. At a time when new Sibelius/Mahler/Shostakovich cycles are the limits of record company creativity it is good to see an independent taking the musical road less travelled. 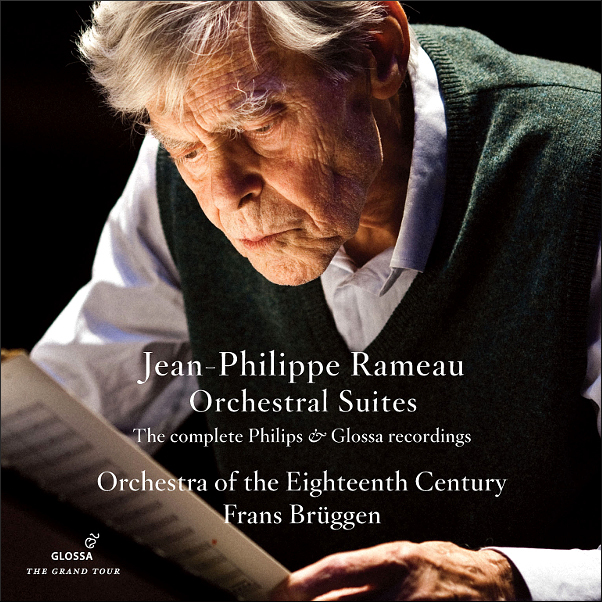 The Spanish independent label Glossa has bundled two of their own discs of Rameau Orchestral Suites played by Frans Brüggen and the Orchestra of the Age of Enlightenment with two recorded by Philips/Universal Music into a 4 CD budget box of re-releases. 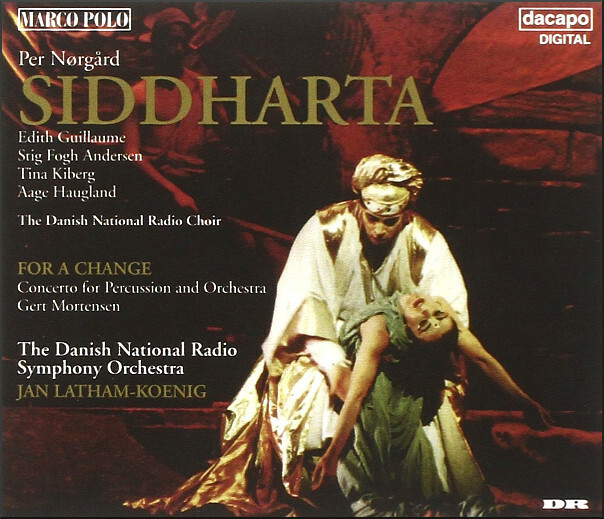 Although recorded by two companies the producer for all four discs is Gerd Berg. I first came across his work when he was a staff producer at EMI Electrola, and his pioneering Reflexe early music series for EMI demands reissuing. All the Rameau recordings were captured at concerts, and the sound is consistently and convincingly transparent. 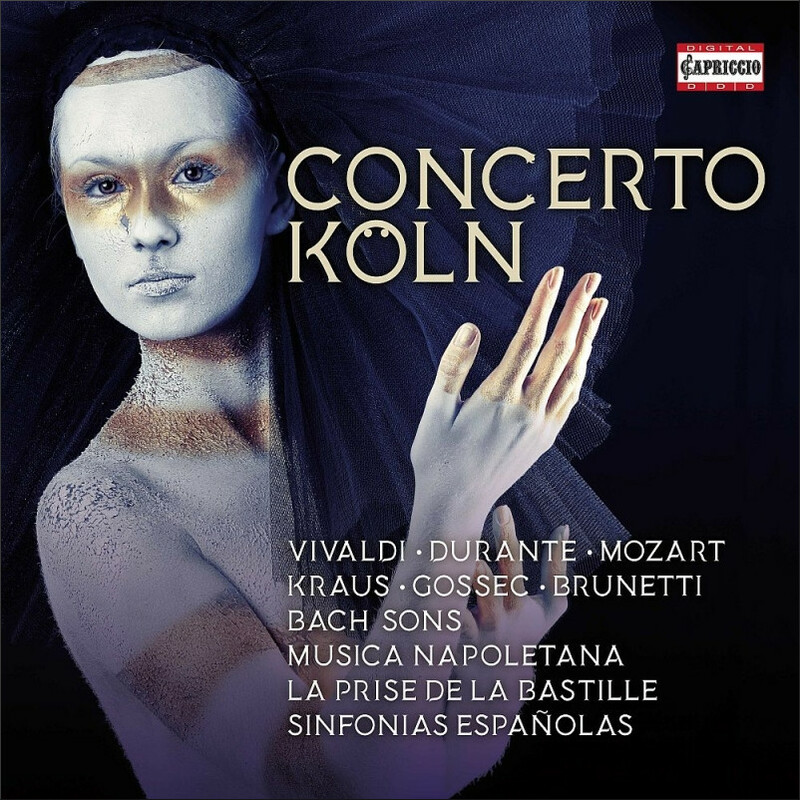 The Suites were compiled by Frans Brüggen from the orchestral sections of Rameau's operas, and it goes without saying the performances are exemplary. My admiration for the Chemirani percussion dynasty is reflected in multiple appearances by them here. 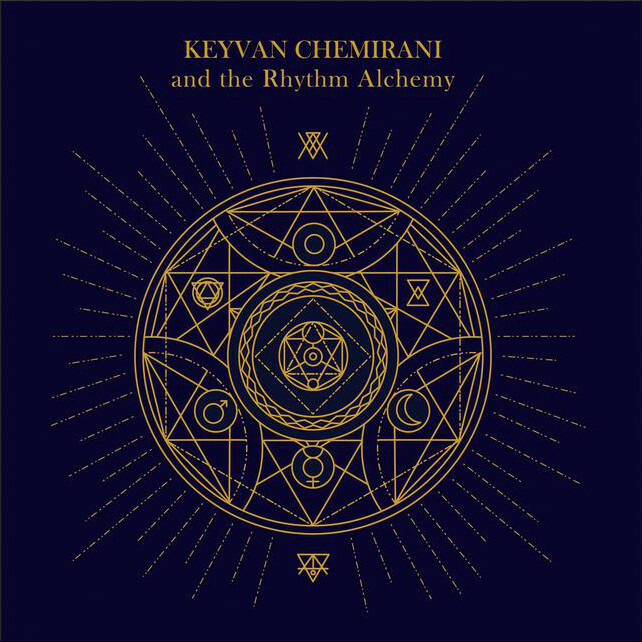 The latest project from percussion powerhouse Keyvan Chemirani is his Rhythm Academy line up which includes Prabhu Edouard (tablas), Vincent Segal (cello), Socratis Sinopoulos (Cretan lyra) and the other members of the Trio Chemirani. I have had the pleasure of hearing Prabhu Edouard play several times, notably at the Les Orientales Festival in the Loire Valley and on Jordi Savall's Francisco Javier project in Paris. 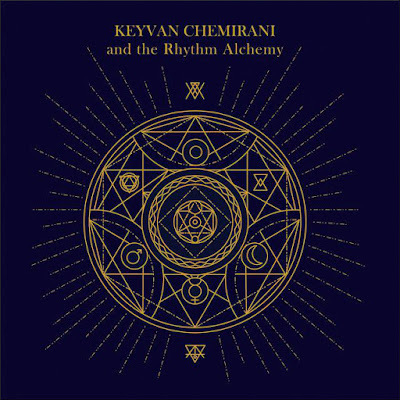 Several of Prabhu Edouard's recent solo releases have verged on the dreaded World Music blancmange, but Keyvan Chemirani's leadership ensures that this new CD avoids the syrupy stuff. Particularly noteworthy is Arézoust (Desire) which is an elaboration of a track from the Trio Chemirani's recent solo album Dawâr setting Rumi's verse. When I wrote about Prabhu Edouard's Les Orientales gig I used the headline 'The only limits are those set by the musicians'. All the huge talents in the Rhythm Academy make music that sits well outside the filter bubbles which so much of today's art music is created to fit into. The result is music without limits par excellence - sample it here. As a footnote to my music for meditation thread I am including Verve's maverick and deleted Jazz for Meditation. Don't be put off by the cheesy presentation - this is not New Age easy listening. When Verve compiled the disc in 2007 they mined their rich archive of progressive jazz classics. So sitting in are Alice Coltrane, Randy Weston, Yusef Lateef and John Mayer - the latter was featured in In search of the lost symphony and played in the London Philharmonic Orchestra. 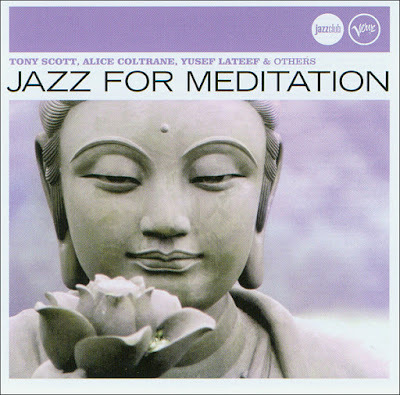 If zazen isn't your scene Jazz For Meditation is worth seeking out for an outstanding playlist of music less travelled. Young Franco-Egyptian oud virtusos Mohamed Abzekry came to my attention through his first two albums which combined the classical oud with contemporary jazz in a fusion style that challenged comfort zones - which for me is the right use of fusion. For his third album Karkadé he takes the bold step of returning to his Egyptian roots. 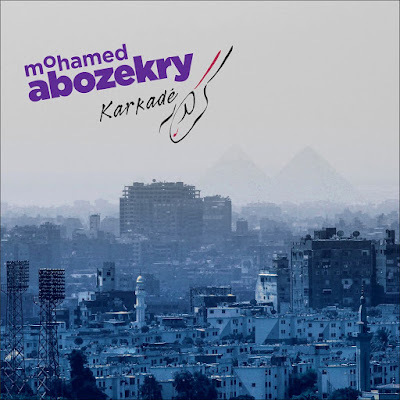 Karkadé is the hibiscus flower that gives its name to a popular Egyptian tea, and the new album explores Egyptian folk and Sufi themes - sample here. The final track Le vin mystique is an extended setting to a Sufi trance rhythm of a poem by the 12th century Egyptian mystic poet Ibn al-Fāriḍ. Rumi and the other well-known ecstatic Sufi poets were of Persian not Arab ethnicity. Ibn al-Fāriḍ was the leading Arab exponent of mystic poetry but remains almost unknown in the West. Which is puzzling given Rumi's immense popularity and the increasing interest in Sufism. It is also puzzling because the Egyptian hermetic and Sufi Dun-Nun al-Misri (830 CE) from Nubia, according to the authoritative British Orientalist R A Nicholson, "above all others gave to the Sufi doctrine its permanent shape". With the CD approaching extinction I am hoovering up the absurdly cheap box sets that have become a feature of the distressed recorded music market. The baroque field has been particularly well-served by the race down to zero pricing dictated by the hegemony of streaming. So my recent rewarding purchases have included Deutsche Harmonia Mundi's 50 CD baroque music doorstop and 10 CD Freiburger Barockorchester Edition, and Sony's 47 CD Tafelmusik Complete Recordings. But for this roundup I am showcasing Capriccio's 10 CD Concerto Köln compilation which combines the familiar - Western instruments without any of those pesky ouds, tablas and Cretan lyres - with the unfamiliar - a treasure trove of little known composers, see composer listing here. To quote The Rubáiyát of Omar Khayyam, 'The Moving Finger writes; and, having writ, Moves On'. Enjoy my recommendations and take care. By meditating on the compositions of Sergei Rachmaninoff, Ludwig van Beethoven, and others, we can observe the wide range of emotions that these works evoke in us. As Mingyur Rinpoche explains, when we direct our awareness toward these emotions, they lose their power over us. In this way, we can learn to notice these feelings without rejecting or being beholden to them. Before dismissing this thread as New Age nonsense it is worth dwelling on the following. The yoga market in the US is worth $27 billion annually, which compares with a market for classical albums of less than $200 million. Dumbing down classical music by reinventing it as an entertainment medium has failed to attract a new audience. 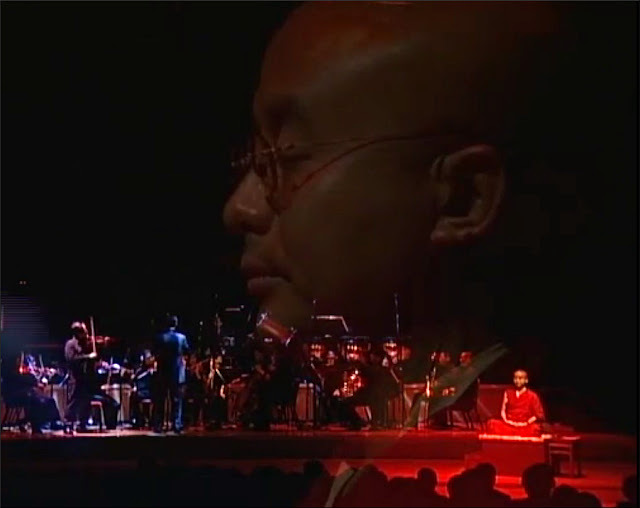 Meditating Rinpoches on the concert platform may be a step too far the other way. But an awful lot of money is being spent on well-being activities by people searching for exactly the emotional uplift that classical music delivers. Is there a conductor with the courage to try replacing applause between movements with meditation between movements?